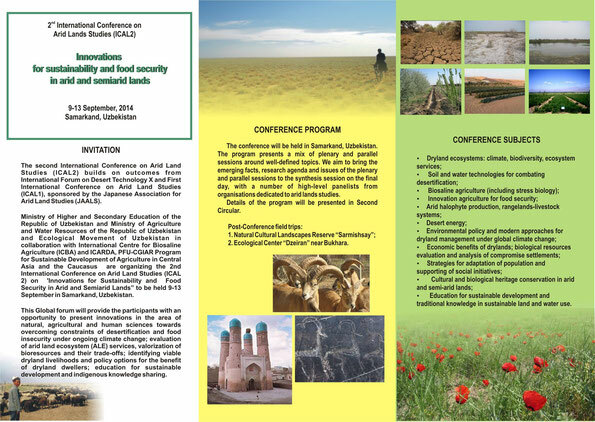 The 2nd International Conference on Arid Land Studies (ICAL2) on “Food Security and Innovations in Arid and Semiarid Agro-ecosystems”. We would like to remind you that deadline for ICAL2 Abstract submission is June, 10, 2014. 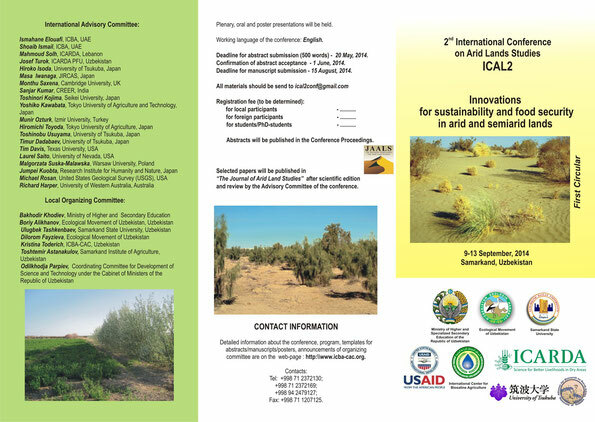 Attached please find the First Circular for ICAL2 on “Innovations for Sustainability and Food Security in arid and semiarid lands” to be held on 9-13 September 2014 along with instructions for submitting abstracts. 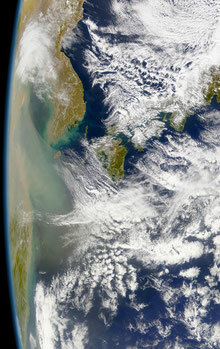 The conference registration website and details about the conference we will provide soon. We hope to see you in September 2014 in Samarkand, Uzbekistan.